Uber is an evolving urban transportation service that has deployed its service in more than 60 countries. It has drastically changed the way of hailing domestic taxi which makes people to get addicted in app based taxi bookings. Perhaps Uber is good for some people, it doesn’t meet enough safety measures and also surge pricing is a huge threat for the people who hails taxis often. Although uber faced lot of protests and regulation issues, The company has running 300+ cities worldwide. However, Uber can’t defeat rivalry taxi service in many countries. Why Uber Can’t Defeat The World ? In India, The giant taxi service Ola cabs merged with Taxiforsure in 2014 and raised $400 M from two biggies SoftBank and Tiger Global. Also Uber cabs should struggle with legacy taxi service of south Asia Grab taxi, which shares two of its investors with Ola cabs and also running cab service over 5 nearby countries. In China, people already have adopted with two giant taxi services Didi Dache and Kuaidi Dache. 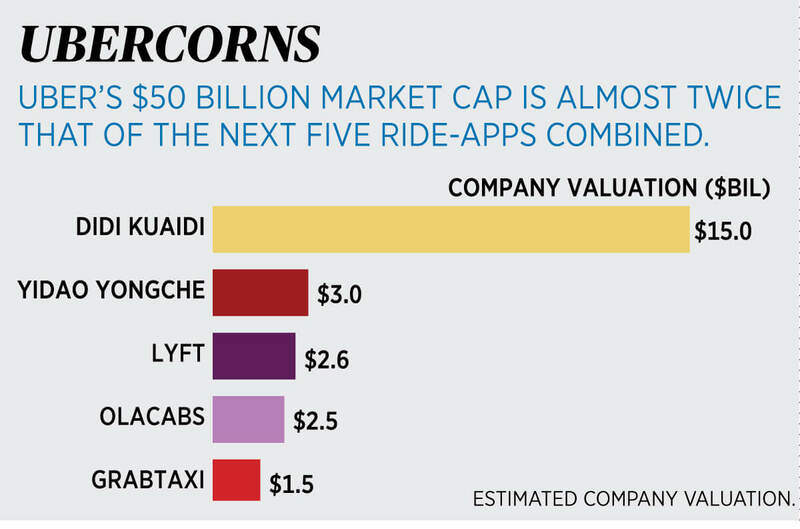 These two taxi firms raised $2 billion by joining together and controlling 99% of taxis market as well 78% of the private car market in China. Didi Kuaidi’s CEO Cheng Wei says“The rivalry from Uber is just a tiny wave in our progress,”. In previous years, Brazil’s Easy taxi were reinforced the market which was found in 2011. Now Easy taxi is running its service over 30+ counties with 400000 drivers. This app has an unique feature for passengers to bid up for attracting drivers in rush hour. Wang, The CEO of Easy taxi says, “Uber has dipped its toes, but the market is still for the taking”. Uber’s winning strategy got succeeded in US. But other counties can’t be defeated.